One crisp autumn evening when I was 12 years old my family and I took a trip out to a farm. My mother's friend had heard about a man who was threatening to shoot his dog unless someone took the dog from him. He was claimed that she was "stupid" because she was opening the screen door with her paw and getting out into the fields. He had shot dogs before, and he wasn't going to hesitate about doing it again. My mum decided that even if we weren't compatible with the dog we would take her home until we could find her a new owner. We hadn't had a dog in about 5 years, and we weren't sure if we were ready to own one again just yet, but it was better to take her home than have her face such an awful end. We drove up to the house, got out of the car and knocked on the door. A gruff looking man greeted us and let us into his house. The man reiterated the situation with the dog and then took us into the living room. There sat Pepper, of course she wasn't called that then, her original name was Turnip. 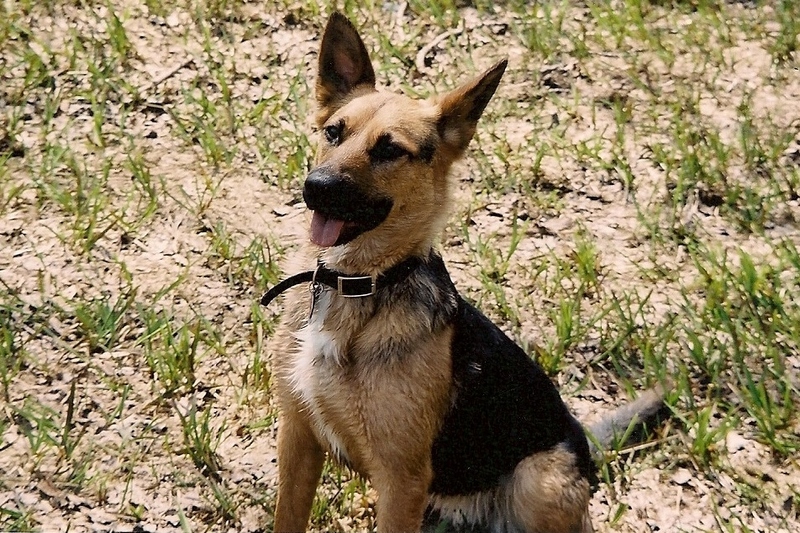 Turnip was a medium sized dog, with bright intelligent eyes, a German shepherd body, and stubby little legs. It was love at first site. I think we all felt an instant connection, she took to us immediately and we decided right then and there to take her home. We packed her up in the car with her meager amount of toys and food and drove off into the night towards Pepper's new home. A few years later we adopted my uncle's dad's dog Sammy (my parent's house often seems like a stray shelter/pet menagerie). I think Pepper liked having a companion, she even took to leading him around the house with his leash when it was time to go for a walk. She was such a smart dog like that. On Saturday August 17th our beloved Pepper was put to sleep. She was suffering from congestive heart failure and a host of other problems that come with living a long life. I am so grateful that we were able to let her into our lives. She may have been a bit unfriendly to outsiders sometimes, but she was just trying to protect her pack. I am grateful that she accepted Colin into her pack so easily, he must be a good egg. 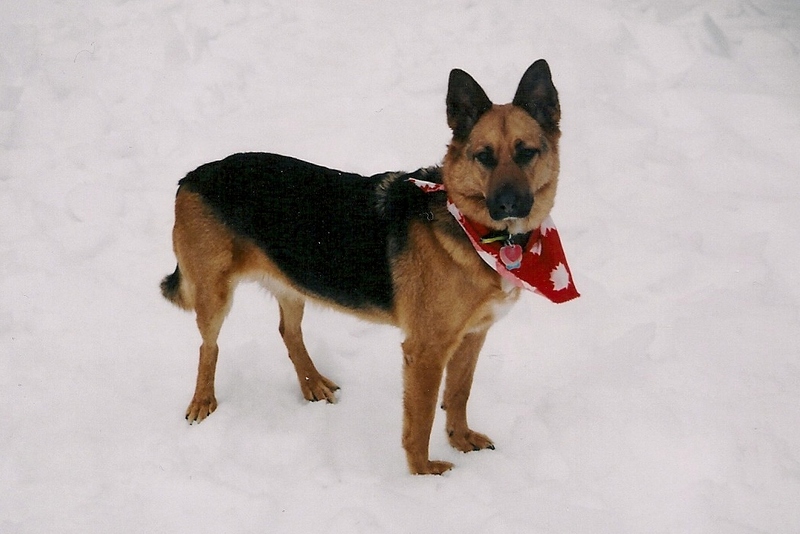 I am grateful we had her there to protect us for 12 wonderful years. 12 years longer than she would have had if we never heard about her from my mum's friend. My days are going to be a bit harder knowing that you are no longer there to love and protect me, but I am so lucky that I go to have you for the time that I did. I loved you so much Pepper, I hope you are happy wherever you are, having fun leading your best bud Sammy around with his leash before you go out for a walk together. Oh I'm so sorry. Pepper looked like an absolute darling and I'm sure very much enjoyed life spent with you. Thank you Jamie. I still miss her everyday and it's going to be a hard journey,but knowing that we gave her a good life is comforting. Aw Hope! I'm so sorry about Pepper. 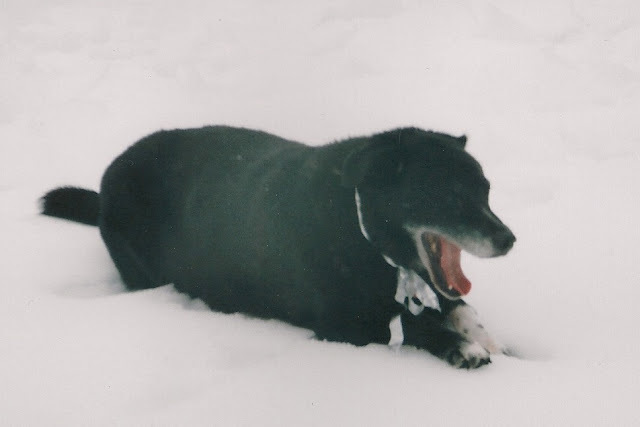 We put our dog Jake down 6 years ago and it breaks my heart every day. Thanks Beka. I don't expect it will ever be easy, but hopefully the pain will eventually be bearable. It's so hard to lose a pet. Sometimes people don't understand the connection we can make with animals, but I think very strong ones can exist. I am sorry about your dog Jake, it's a horrible thing to have to go through.